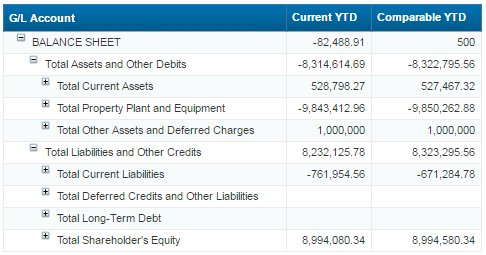 Building reports based on SAP “Financial Statement Versions” using CDS view is not hard. However, if we don’t have all the data corresponds to each hierarchy node, the line of that corresponding hierarchy node won’t be easily shown in the frontend. Neither using SAP Analysis for Office nor Web Intelligence as the frontend tool. Here the author presents you one way to display all the hierarchy nodes using CDS view together with frontend tool SAP Analysis for Office or Web Intelligence. In the front end tool screenshot shown below, we use Analysis for Office version 2.4 SP3 and Web Intelligence version 4.2 for the demonstration purpose. 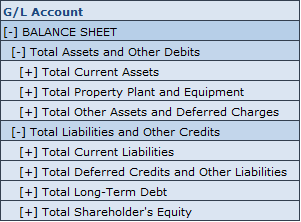 By comparing to the previous “Financial Statement Version” hierarchy, we can tell that we have two missing hierarchy node, which are “Total Long-Term Debt” and “Total Deferred Credits and Other Liabilities”, the reason behind this is because in our system, we have not stored any data under these two nodes, in other words, the G/L Accounts associated with these two nodes have no data. Now our last task is to do the combination for both cases. 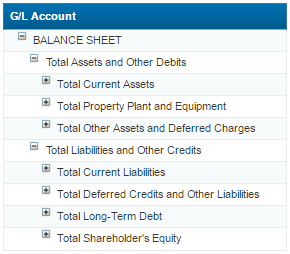 By implementing this, it would allow each company to see the full “Financial Statement Versions” defined in the backend from frontend tools, e.g. Analysis for Office or Web Intelligence, we don’t need to worry about any loss of the nodes either with or without the corresponding data in the system. Meanwhile, this methodology is also an alternative to SAP BEx Query Designer, which has the functionality of selecting master data from the user interface panel. Is it possible to develop hierarchy on transaction data like PO header and PO item? I am looking for a solution of custom hierarchy on transaction data . How to display ALL the hierarchy nodes including no data associated accounts in BO prompt? 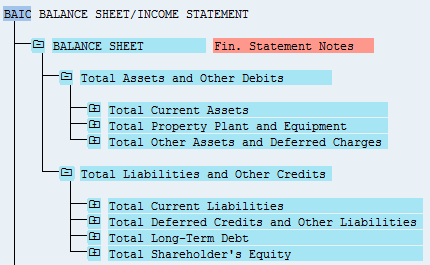 Can you please also confirm the procedure to bring Financial statement version and Functional areas data together. I need to come up with same hierarchical structure as shown you in this blog but with Functional areas together.